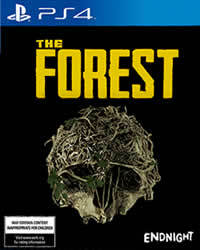 In the PS4 Survival Horror The Forest you can unlock a total of 38 trophies. In this Trophy Guide we show you all the trophies and their tasks. More Guides and News about The Forest you will find on our overview page. In total, there are 43 Passengers to discover in the game. Here we show you all places and coordinates. Use a plain rock, not an Upgraded Rock. They are toys you have to find. Once you have received all the pieces, go into your inventory and combine each piece to create the entire robot. Works in single-player and multiplayer modes. Here we show you allToy parts locations. Must be completed on one save. There are 26 items that need to be crafted to the get this achievement. Combine your metal tin tray with any item on the crafting mat and equip it, then have another player collect the item from the tray. Only works in Multiplayer. The compass can be found in cave 2 on the body of a dead rock climber, along with a world map piece. Revive ten players in multiplayer mode, must be done before they die. Players who die to sharks or drowning cannot be revived. Only works in Multiplayer. Combine your metal tin tray with any weapon such as a crafted club on the crafting mat and equip it, then have another player collect the item from the tray. Only works in Multiplayer. Build a hunting shelter (6 rocks, 7 logs, 7 sticks), hit it and then repair it. You should use a repair tool, which can be crafted from 1 rock, 2 sticks, 2 clothes and 10 tree sap. There are a total of 5 cassettes to be found in the game. Here we show you all known localities. This isn’t a guide, stupid. Where is the roadmap? That’s not a guide idiot!